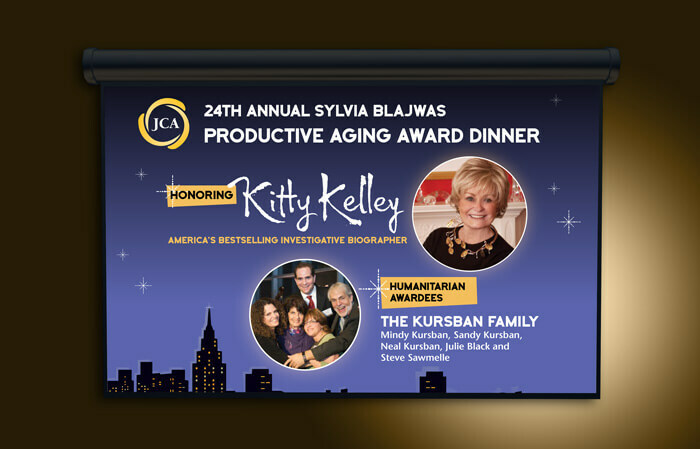 Background: The Jewish Council for the Aging’s Productive Aging Award Dinner is an annual event at which they celebrate a well-known honoree and local humanitarian(s) who represent their tagline, Helping All Seniors Thrive. 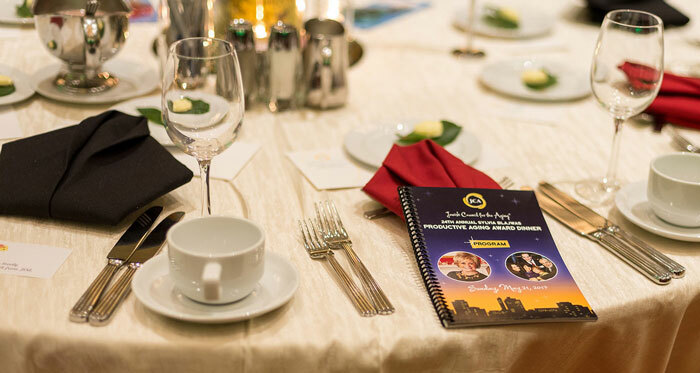 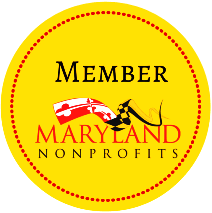 Through donations and sponsorships, the dinner is a fundraiser for their programs that help Washington, D.C., area seniors. 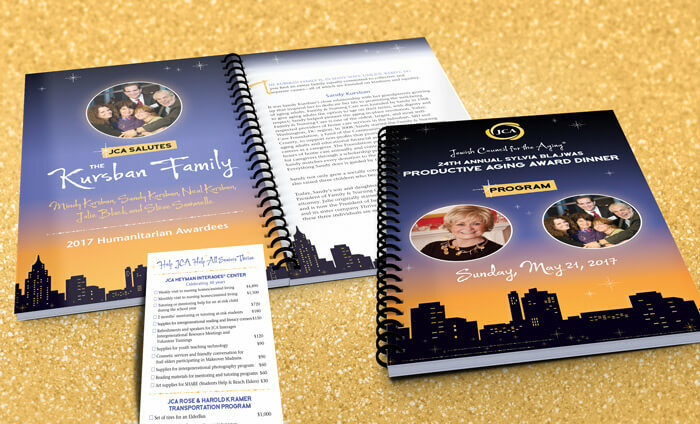 Problem: JCA needed a design for the event materials that would entice people to attend or become a sponsor. 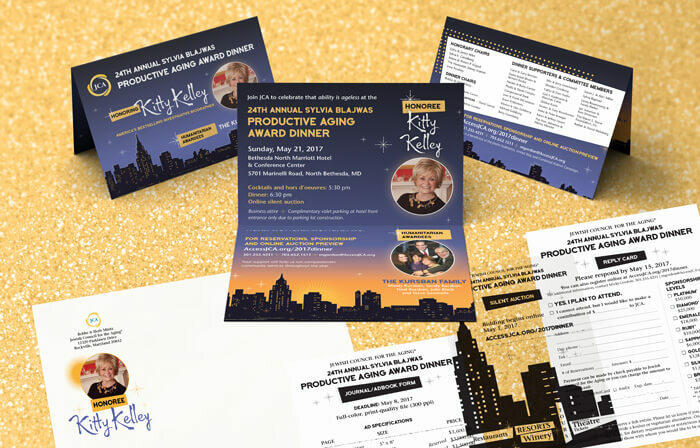 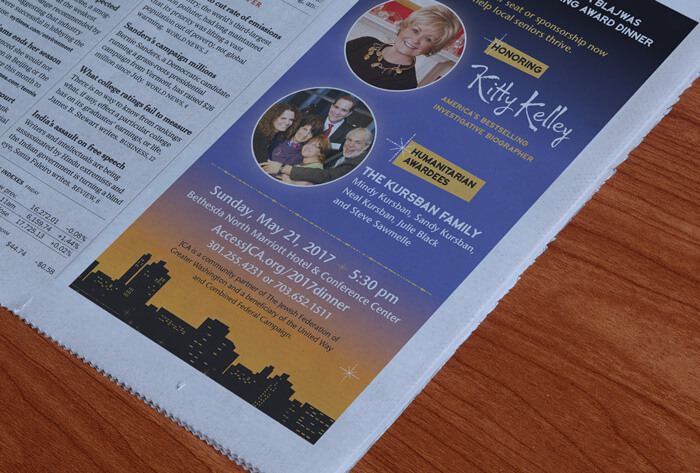 The design needed to feature Kitty Kelley, America’s bestselling investigative biographer, as well as their humanitarian awardees.